Depression is more than feeling down, sad and moody. It is more appropriate to describe depression as a loss of interest in daily activities as if life is hopeless and nothing can be done to resolve the problem perceived by the depressed person. Depression is not the normal sadness that one can experience when someone hurts us or something went wrong in the day. Depression is more serious than sadness and very often interferes the depressed person's normal way of life and routine. Note: what we are discussing here is a general form of depression. Depression is usually caused by the loss of something valuable to oneself or a presence of a problem that seems too big to solve by oneself. Loss of Jobs. Unemployment can trigger a series of worries and anxieties to anyone, especially men. Especially if the source of income is cut off for a long period of time, the person can become depressed. Loss of Life/Friend. When someone leaves us either through death or lost in a far away place, some may feel a sense of sadness thus leading to depression. Especially if the person is dear to him or her. Loss of Freedom. Being bounded in a confined space with limited freedom can create a feeling of intense moodiness. It may also create a sense of feeling lonely and uncertainty. Loss of Properties. 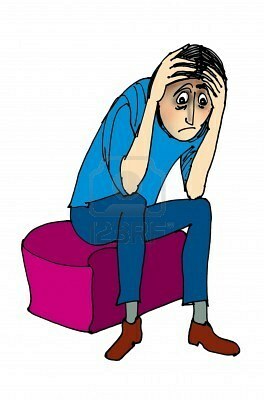 Loss of money, houses, personal items that are of value to oneself may cause someone to be depressed. Sense of Self-worthlessness. Blaming oneself of the past mistakes and begins to feel unworthy. Loss of Interest in Daily Activities. Little interest in former hobbies, sports, outings and even one's favorite food. Sleep Problems. Either sleepy most of the time (hypersomnia)or can't get to sleep (insomnia). Decision Making. Find difficulty in deciding what to do even in matters of non importance. Some of the steps taken to improve feeling depressed is taking up an activity to keep busy in order to distract oneself from depression. Talk to a Close Friend. Release by bringing up to a friend whom can be trusted. By disclosing the feelings to the close friend, the depressed someone cares to listen and may even offer views or solutions that the depressed may be unaware of. Exercise/ Hobby - taking a light form of exercise like walking or spending a day playing a game with a friend you enjoy with. Professional / Medication. For more serious cases of depression, the person may wish to seek help from a psychiatric professional. Hey! This is my first comment here so I just wanted to give a quick shout out and say I truly enjoy reading your articles.